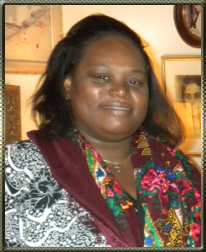 Matushka Rose Legoute, wife of the Orthodox priest in Haiti, Fr. Gregoire Legoute, leads a busy life. She oversees one of only six schools in Haiti for mentally and physically handicapped children, supports her husband in his priestly duties and is heavily involved in the life of the local Orthodox community. During her recent visit to the United States to promote the cause of the Haitian ROCOR mission, matushka Rose talked to the Fund for Assistance about the recent devastating earthquake and what it’s like to be a matushka in Haiti. FFA: What was it like to survive an earthquake? MR: It was an unbelievable experience. I was outside when it happened. I saw houses moving from their places, I saw them turn on the spot and crumble… Walls opening and closing like doors. I thought it was the end of the world. I fell on my knees and started praying to God to pardon my sins. Only when I calmed down a little, I realized it was only earthquake. There are major psychological problems in Haiti: everyone is traumatized, everyone is very scared. Children are afraid of everything; they ask strange questions about life and death. They are no longer live, but are afraid of everything. They can’t sleep at night, the least noise scares them. The same goes for adults. After the earthquake I became a slave. Our house is still standing, but my two daughters are afraid of going into the house alone– they are scared it will tumble down over their head. They are always stressed. If they are thirsty or want to go to the bathroom, I have to come with them. They are always hanging on to me. People, and especially children have lost their taste for life. It is very difficult for us as parents, as priests and matushkas, it is our responsibility to help people overcome this. It is very difficult for parents to see this anxiety in their children. We try to tell them that it was a natural phenomenon. Some children lost their parents and siblings, and since they have nobody to help them, their stress doesn’t go away. The situation is quite alarming. FFA: Does the government do anything to help? MR: No, but there are people from overseas who help. We started asking other countries to send in people to work with our children. So far we haven’t had any help from the government. The first thing we need to think of are the children, because they are so scared after what has happened, and they need our help. FFA: Tell us about your school Foyer d’Amour. MR: Students start coming to school around 5 o’clock in the morning, and I have to meet them. There are about 130 students. Some come for education, some for therapy, which I and another professor provide. We evaluate their mental capabilities and follow with a special program of education. For example, we teach our middle level students to speak, to be social, to use their motor skills. We teach the higher level students to write, read and sew. After the earthquake we cannot use the school, but we rented a piece of land across the street from where we were, we are planning to put up tents and start teaching again. We have other problems besides stress: sanitation, people live in the streets, there are no bathrooms and people have to do everything in the streets. People suffer so much right now in my country. FFA: What is your relationship with the parishioners? MR: We are like a family. If they know we have visitors at our house, they will come and help prepare a meal or will bring food. In Haiti we have to rely on each other, because every person needs someone’s help. The priest and his whole family have a big responsibility to assist others, because people see a priest as someone whom they can confide in, and whom they can ask for help. We are all God’s children. When I was a little girl, I learned from my parents to live and share everything with my family and neighbors, and this served me as guide for my future life. Of course, sometimes I feel like I’m a slave to the community, because I have to assist my husband in everything he does with the parishioners. For example, sometimes when women are having problems, find it easier to confide to a woman, so they come to me for advice. We constantly have people coming to our house, asking for advice or help or for something to eat. It’s not like here in America, where you can survive on your own; in Haiti, there is extreme poverty. FFA: This is your first visit to the United States. What are your impressions? MR: America and Haiti are like night and day. People live in a very difficult situation: there is no work. Even when you get a degree, it is very difficult to find a job. There are almost no roads in Haiti, and after the earthquake it only became worse. We have major health problems, and there is corruption which makes the situation worse. One thing that is very different is electricity. We have electricity in Haiti, but only at night, so if you need to use it, you have to wait till after dark. FFA: You are a member of the Russian Orthodox Church. Would you like to go to Russia one day? MR: I’d like to go to Russia and talk to people so they would want to help my countrymen. I would like your solidarity, Haitian people are in need of it more than ever, I’d like Russians to know more about our situation, and everyone to help our people.